Star Wars: Absolutely Everything You Need to Know (by authors Adam Bray, Michael Kogge, Cole Horton, and Kerrie Dougherty) has been nominated in the category of Favorite Book of 2016 for the Nickelodeon Kids’ Choice Awards! Nickelodeon released the nominations for its annual Kids’ Choice Awards and Star Wars: The Force Awakens dominated several categories, including Favorite Movie, Favorite Actress and Favorite Video Game. 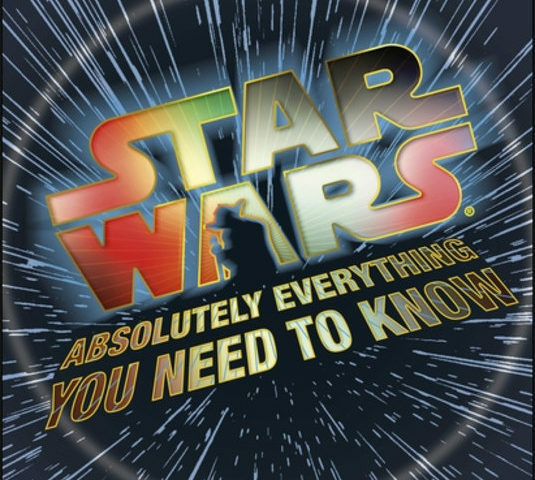 DK is pleased to share in this excitement with its Favorite Book of 2016 nomination for Star Wars: Absolutely Everything You Need to Know. Last year over 500 million people voted around the world. Tune in on March 12, 2016 to see who gets slimed. In the meantime, consider casting your ballot by visiting nick.com/KCA. You can purchase a copy of Star Wars: Absolutely Everything You Need to Know here. Thank you to DK Publishing for the press release and image.